192 pages | 22 B/W Illus. This innovative series explores the role of innovation and innovation management and technological advances from an organizational perspective. This series brings together theories from a wide range of individual disciplines and examines both the internal understanding and management and also an external, shareholder perspective. 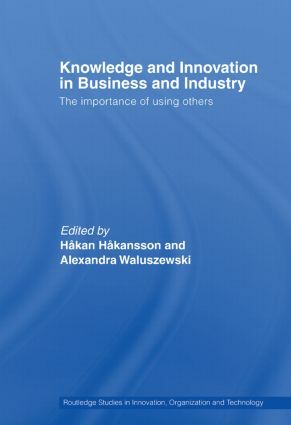 Routledge Studies in Innovation, Organizations and Technology (RIOT!) features cutting -edge research addressing all the major issues in business and management today, helping to define and advance the field.